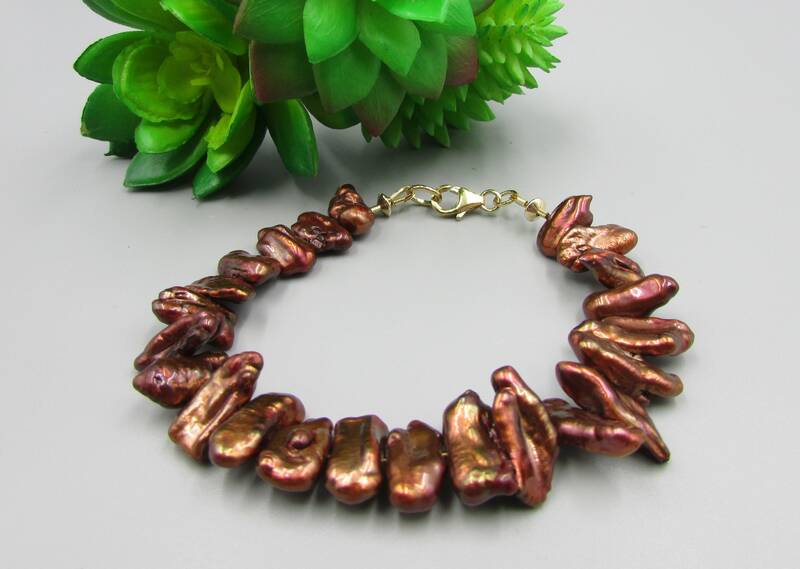 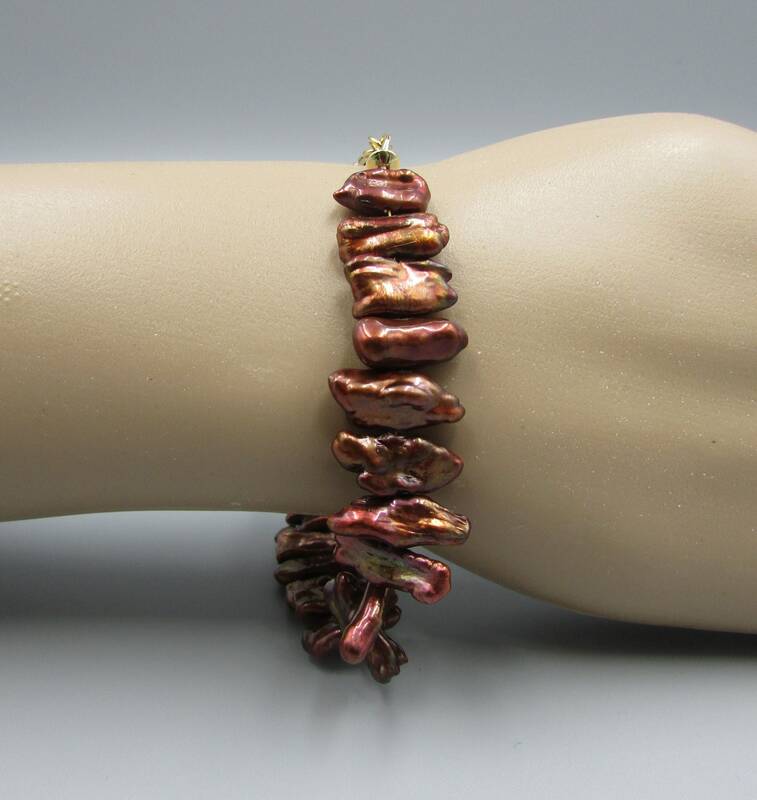 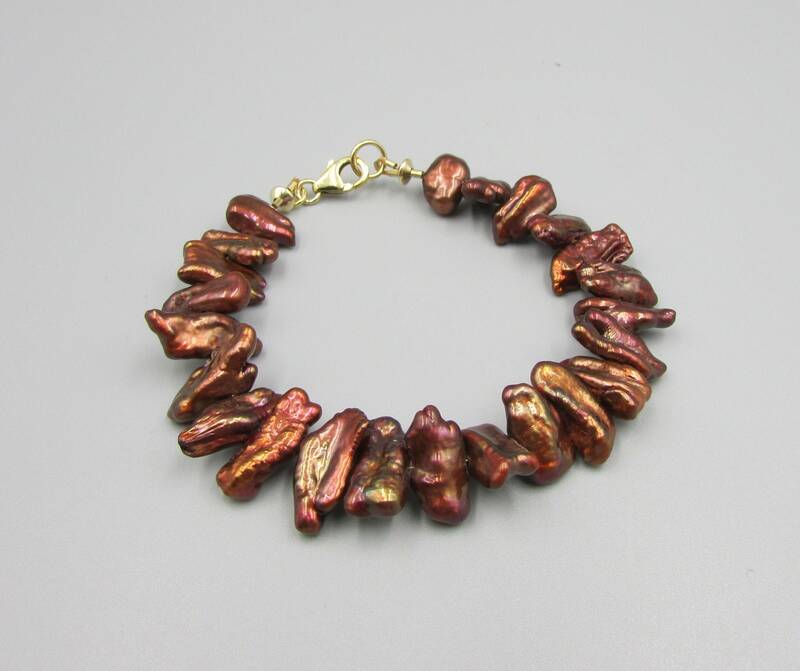 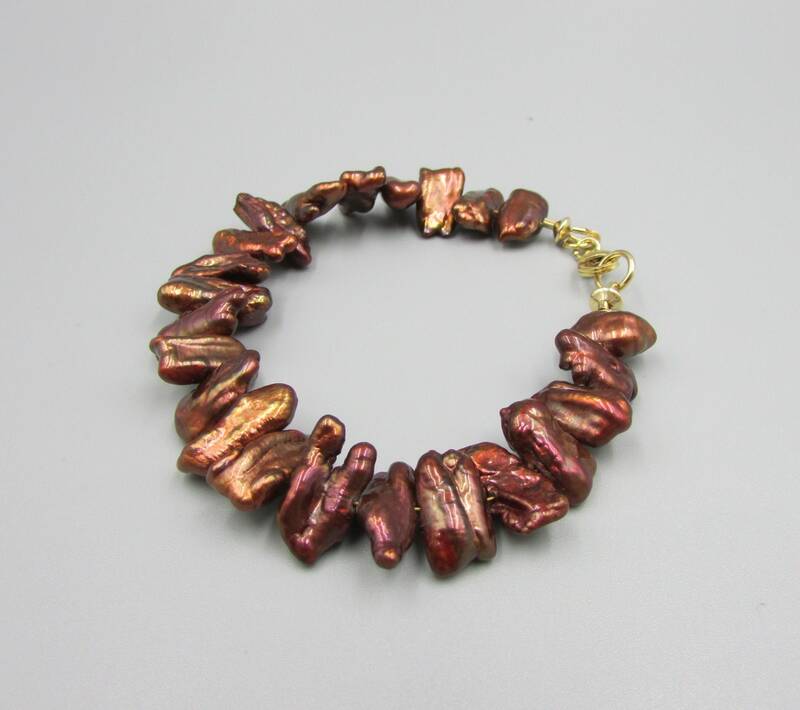 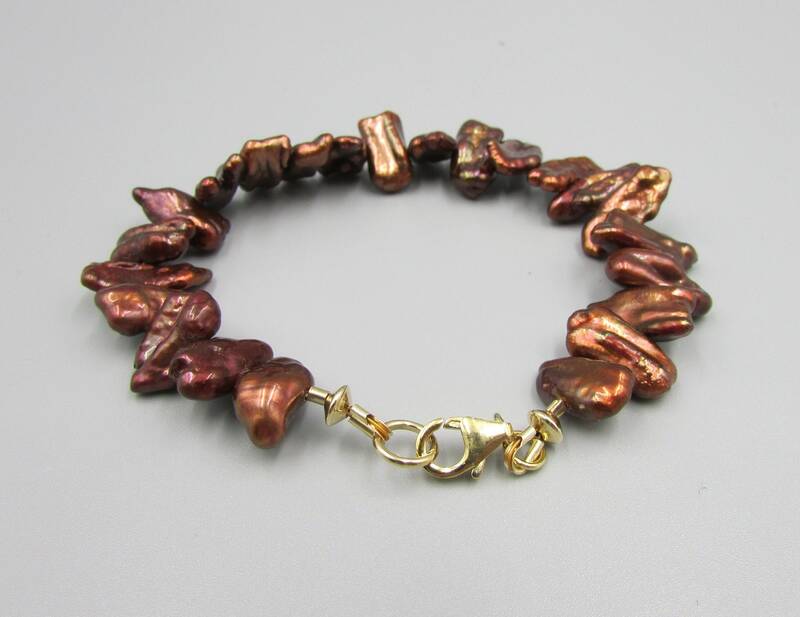 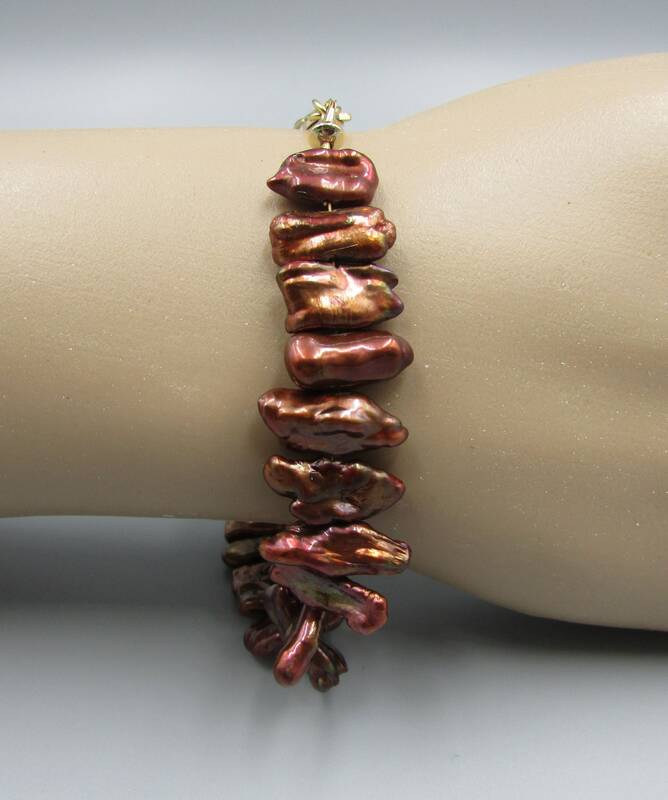 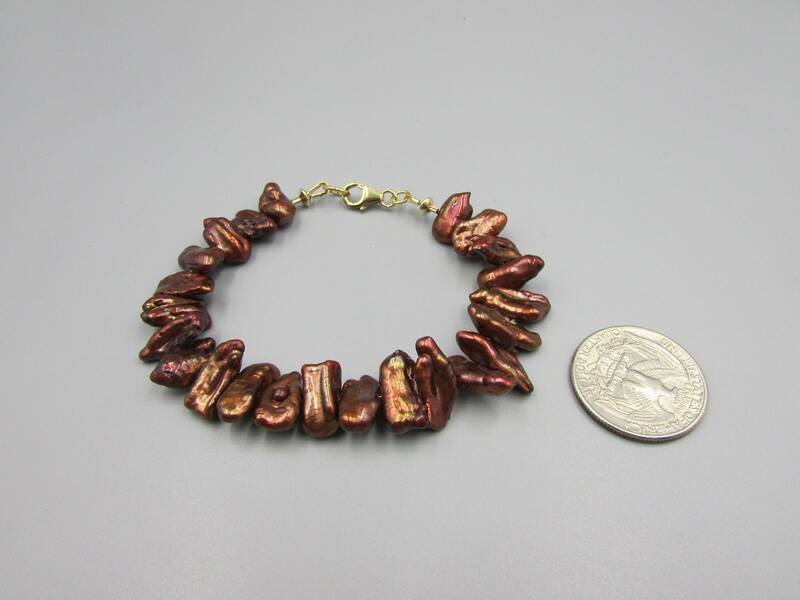 This stunning biwa pearl bracelet is created with burnt orange or dark copper colored pearls that about 1/2 inch wide and little less. 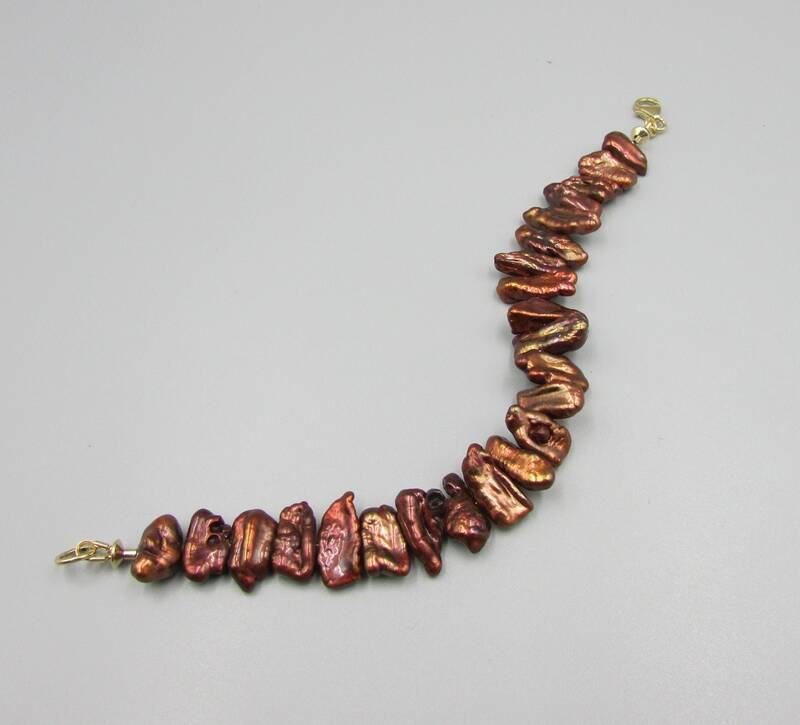 They have a lovely luster and shine and the hues are beautiful. 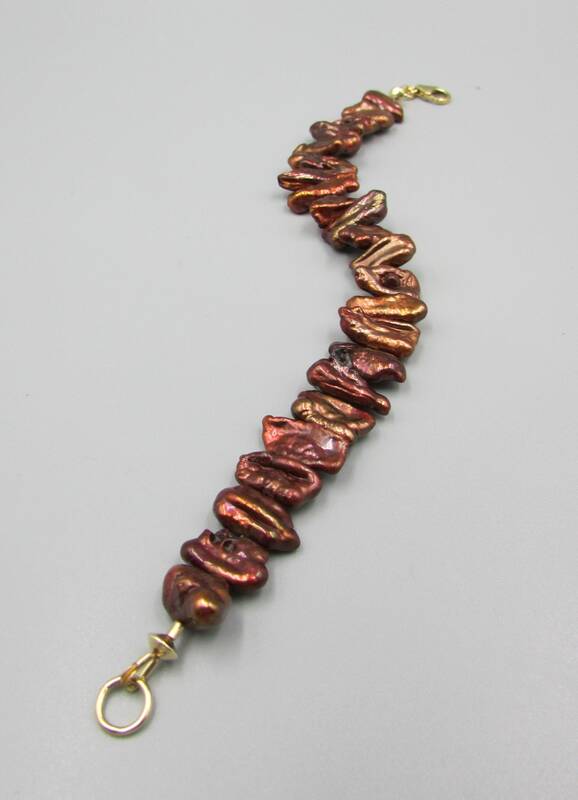 Each end has a gold filled saucer bead and finished with a gold filled lobster clasp. 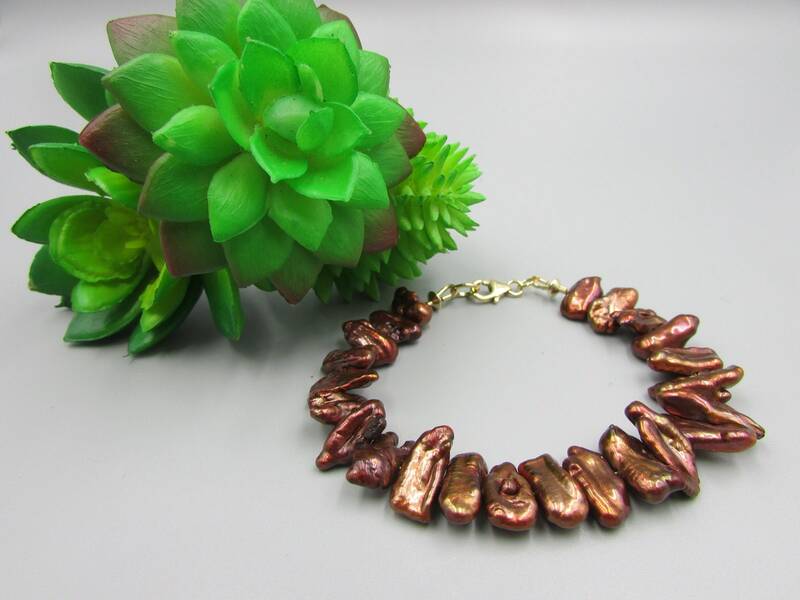 Perfect as birthday, bridal shower or anniversary gift.